Amy Ford completed a Bachelor of Speech Pathology at La Trobe University in Melbourne in 2006. Amy is also working on a PhD which investigates the effect of aphasia (language difficulties after stroke) on interpersonal relationships. 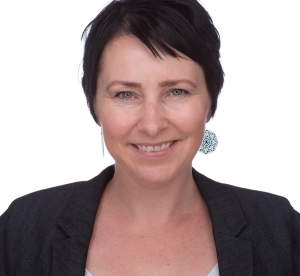 Amy has worked as a Speech Pathologist with adult clients for over 10 years. She has extensive experience working in acute hospitals, inpatient rehabilitation, outpatient and community settings. She is passionate about achieving the best outcomes for clients, and looking at a client’s life goals and social outcomes. Amy has also worked for several years as a clinical educator, training speech pathology students and building their clinical skills. “When working with clients I find it important to learn about them as an individual and their interests and passions. For me, time outside of work is spent with family and mostly outdoors when possible! I love travelling, hiking, cycling or a good coffee”.